The number of smartphone users is increasing exponentially every day. The number is increasing because, the smartphone devices fulfill the requirements easily like shopping, entertainments, security, banking and much more. This increasing trend motivates the developers build more advanced mobile applications related to social networking and payment system, etc. The current situation, it has been clear that Android is overtaking all the platforms and exponentially growing up. Recent research states that android approximately covered 80% mobile market. From the above results, it is clear that Android app development platform to beneficial for entrepreneurs. 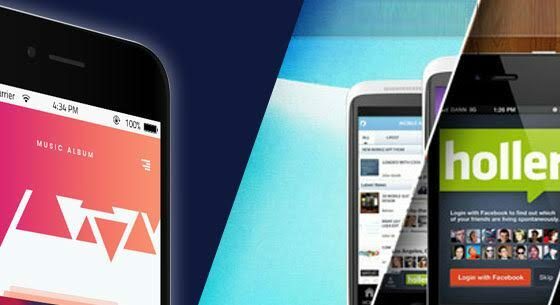 Cross-platform app development, technology permits multi-platform app development by this facility the app can be run on different platforms with the same functionality and content. But the developers should have deep knowledge of coding. sequentially, this technology saves a lot of money and time, this is one of the main reason for the popularity of the Cross-Platform technology. Mobile e-Commerce trend is increased over a decade. Instead of debit or credit cards, customer selects smartphone to purchase and pay bills, There are different app available in app stores which can be downloaded easily and used. This trend promotes the developers to build a new mobile app for various platforms. The exponential growth of mobile applications for the various purposes is increased, the number of hacks is also increased. The mobile security plays an important and crucial role, for app developers. Beacon works on Bluetooth low energy, the new version was released by the Apple only. Beacon provides a new dimension to the interaction between customer and dealer, this technology is in initial stage so developers need to develop more WI-Fi based and Beacon based services for the different platforms.